The Pittston Area School District is located in Pittston, Pennsylvania. In addition to Pittston, this school district serves nearby boroughs like Jenkins, Avoca, and Hughestown. 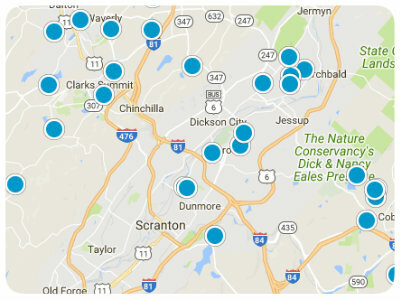 The Pittston Area School District has about 3,800 students enrolled in its schools. Altogether, the Pittston Area School District over 30,000 residents. Its mascot is the Patriot, and its school colors are blue, white, and red. Residents of the area enjoy proximity to excellent options for entertainment, dining, shopping, and recreation. For example, the area lies close to the Susquehanna River next to the Luzerne County Rail Trail, so you can ride your bike while getting a scenic view of the river. South Main Street is where you can go out to eat and run a few errands. Feel free to browse the vintage trinkets in Yore Antiques or get a pie at Napoli’s Pizza. A few blocks away from the street is the local library. If you’re a parent of young children, you can take them to Jefferson Park. Jefferson Park has a playground, a pavilion, and a basketball court. Revolution Ice Centre is cool: literally and figuratively. There, you can skate, play hockey, take skating lessons, and more. Fox Hill Country Club is a private club that’s been in existence since the 1920s. In addition to playing golf, you can hold a birthday party, wedding, or any other special event there. 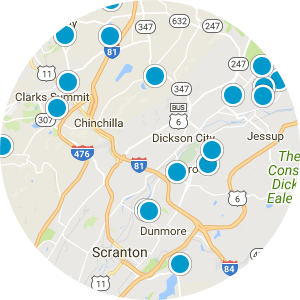 Adding to the allure of the area, schools in the Pittston Area School District include one primary school, one intermediate school, one middle school, and one high school, all of which are conveniently located, so prospective homebuyers take note. 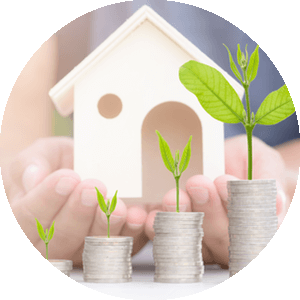 The real estate properties in the Pittston Area School District primarily consist of townhomes, condominiums, single-family residences, and multi-family dwellings. The homes in the Pittston Area School District generally have one to nine bedrooms and one to four bedrooms. They usually measure between 525 to 3,000 square feet. Some homes have excellent amenities like decks, laundry areas, attached garages, and granite countertops. Make the decision to move your family to the Pittston Area School District. It’s family-friendly, suburban, and exudes a lovely, small-town feel. 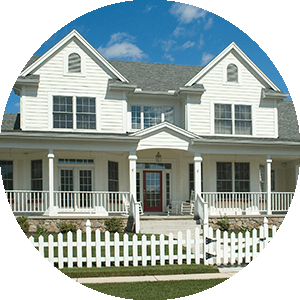 If you want more information about homes for sale in the Pittston Area School District, Pennsylvania, please contact us today. Property has many updates new roof 8/2013, new windows, electric heather's, floors and bathrooms. Great starter house! beautiful hardwood floors throughout. FInished attic. 3 bedroom/1.5 bath home located in nice Hughestown neighborhood. Off street parking, back deck and good size yard. Close to Pittston amenities.